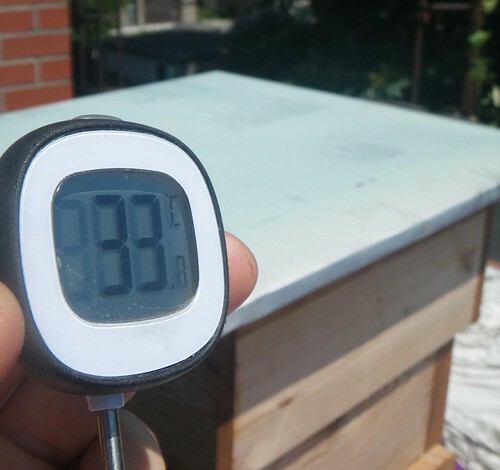 top nuc box - Only very small patches of brood remaining and lots of honey. 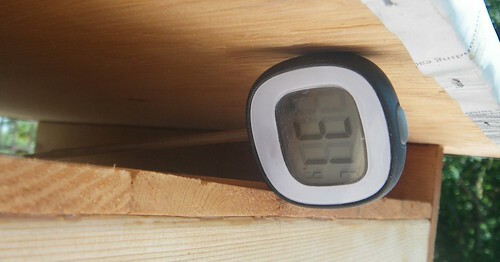 middle warré box - eggs as well as both capped and young brood. bottom box - Six drawn combs. Not really being used for brood, but there were loads of bees. 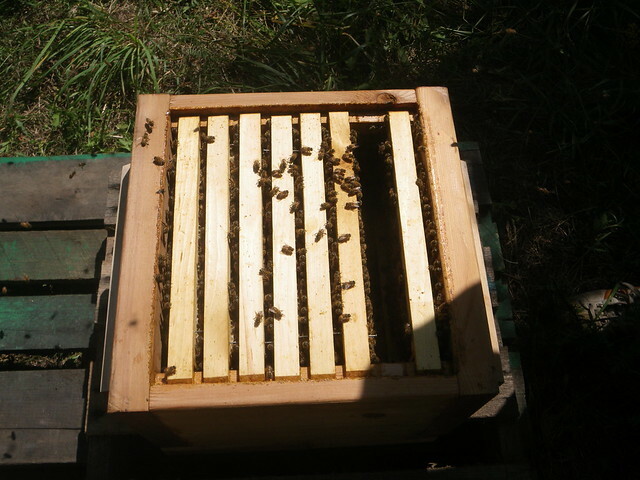 In the bottom box I pushed four established combs to the edges and moved two brood combs down. One with eggs and young larvae. I left an undrawn comb in the centre of the middle box. This one appeared to have a wound. Possibly from mites? 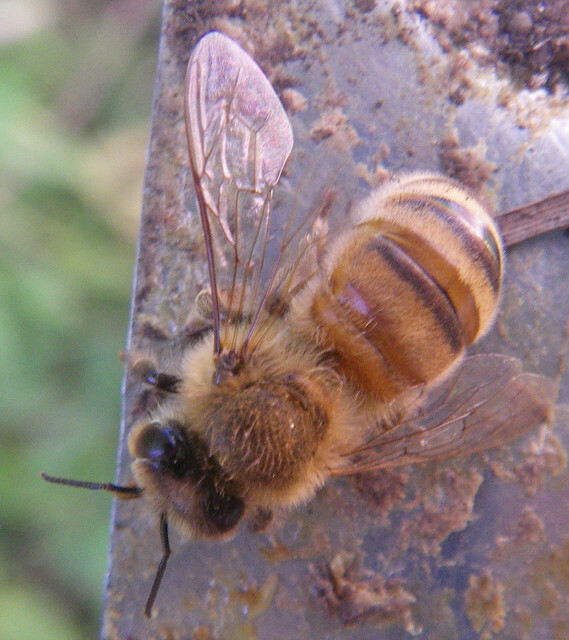 This left me suspecting problematic levels of varroa or tracheal mites or both. 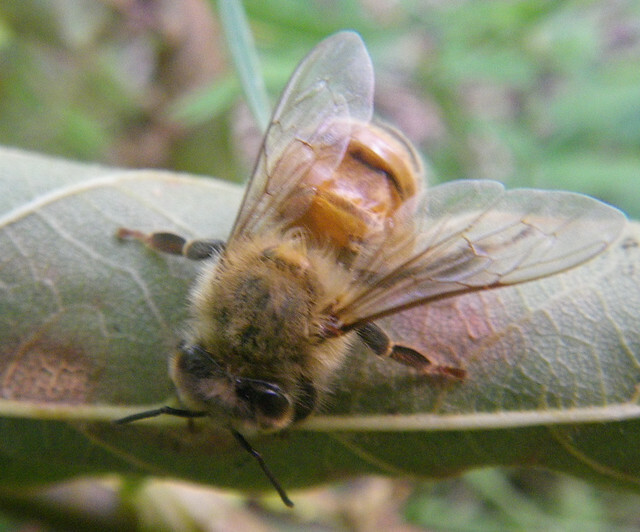 The only bee I was able to spot in the grass flew away. All combs significantly filled out, but not 100%. 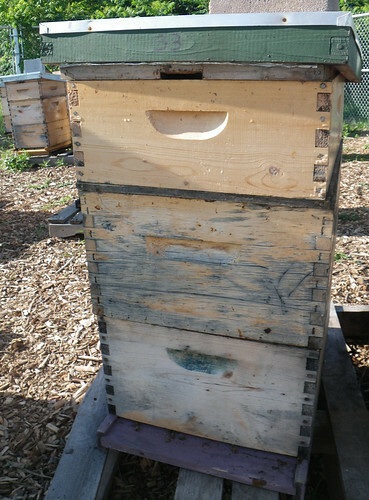 Only small amounts of brood in the bottom box, but lots of pollen. 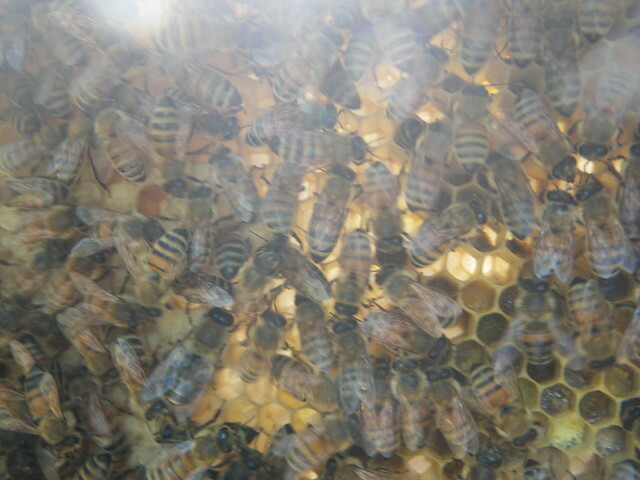 Pollen frame 3rd from the west edge separating brood combs. They were starting to make some honey here. 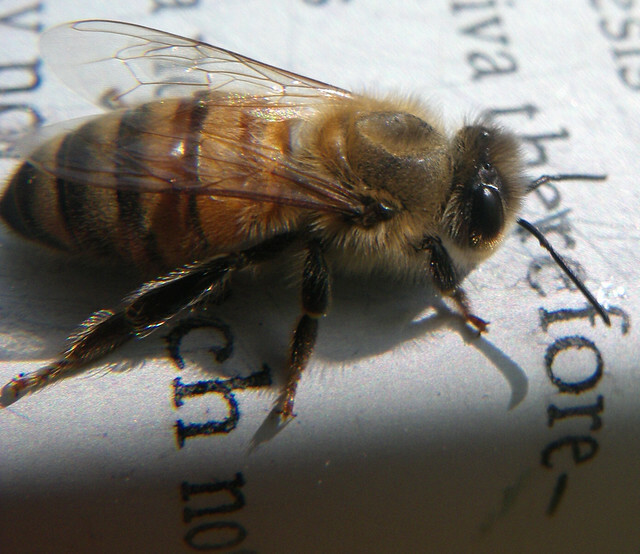 We cut out a section of drone comb from the above frame, but did not find a high proportion of mites. Neither did we see any bees in the grass and the bottom board had been kept clean. 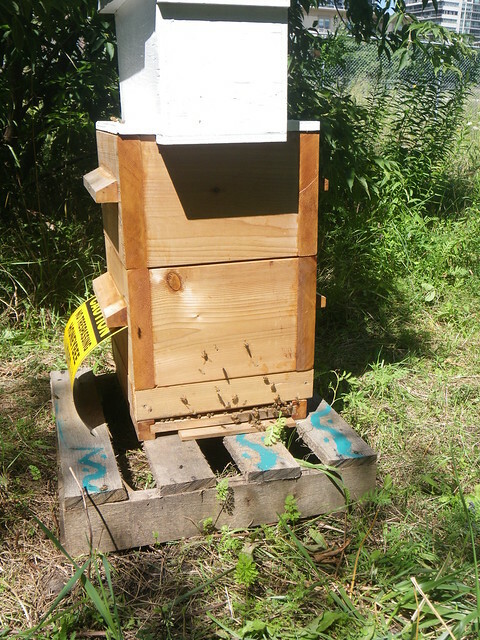 We added another skid below the hive to raise them up a little higher in case of winter snow drifts or flooding. We turned the top skid so there were no gaps for bees to fall through in front of the entrance. 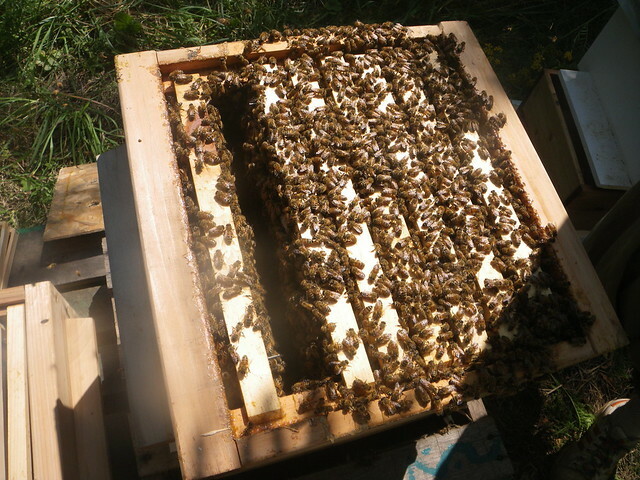 We also removed the eke that had been used to give the hive feed when we first set them up. This is the first post for the wild heart hive. 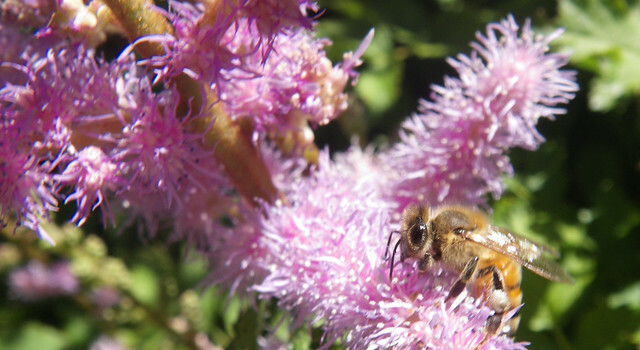 It is the open-mated offspring of the premiere hive. I was surprised to see some goldenrod starting to flower here. The bees appeared to have drawn the majority of two boxes of new comb and still had two boxes of capped honey from the spring. A solid brood nest seemed to have been established in the new boxes and the population looked strong. At this point, I felt they had everything lined up to be strong for winter so I decided to do the first harvest. 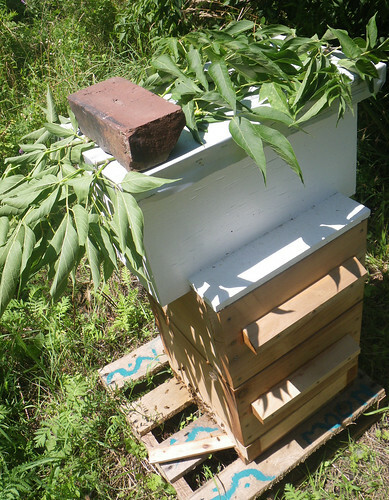 I removed the top box and tried out a hastily made bee escape that I had tried to make from a ventilation cover I had used when transporting the bees. 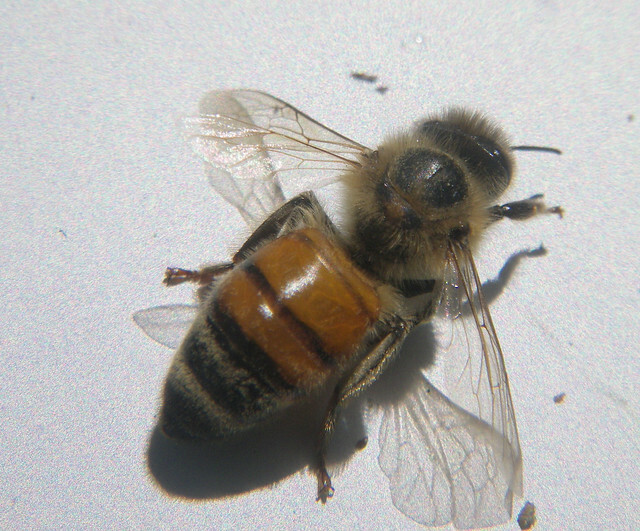 The multiple exit holes of the ventilation cover did not prove to be a positive feature for a bee escape. Some bees escaped but many bees crawled out one hole and back down another. I gave it a little while before resorting to a combination of smoke, waiting till dusk, and manually scooping out as many bees as I could. 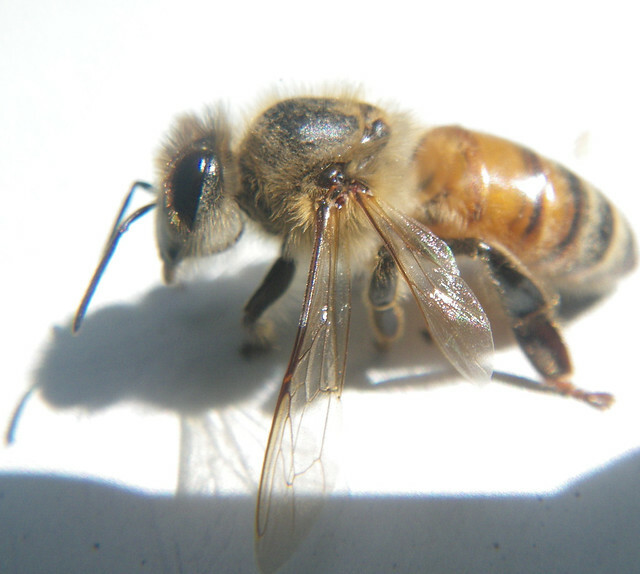 In the end the vast majority of the bees left. I will certainly try to make a better bee escape for next time. I left them with a new box under-supered and seeded with two combs. A final look at the combs from the bottom of the harvested box. You can see they actually made capped honey cells directly on top of other capped honey cells in the upper left hand corner. For what it's worth I did measure some former brood comb after uncapping it. 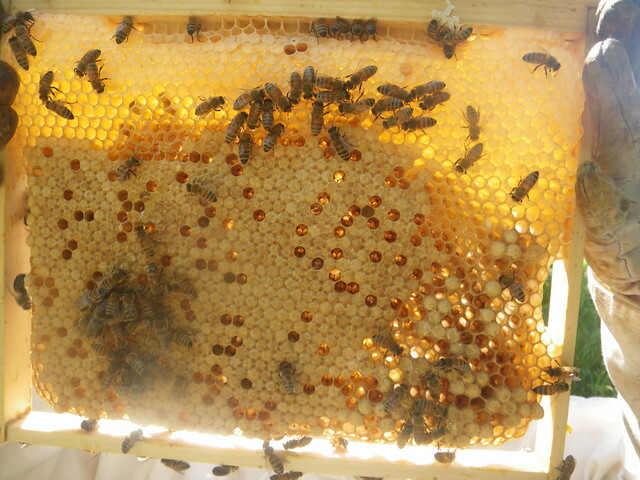 This would have been some of the first comb made by the premiere hive swarm last spring. Ten cells average out to about 5.3 mm, but some of those cells certainly look to be around 5 mm. The more concentrated honey sinks to the bottom of a container. 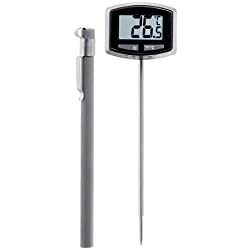 The readings were on the whole just under the acceptable limit for Ontario No. 1 honey. 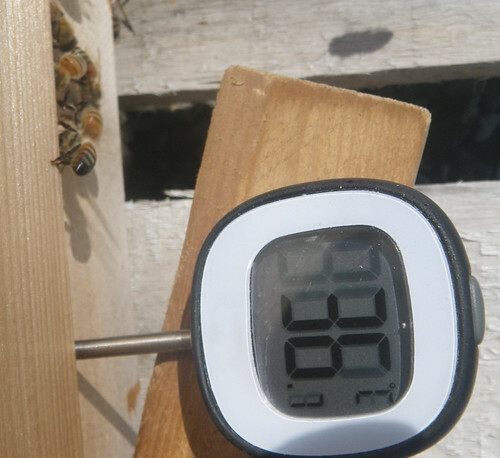 A damp spring probably contributed to higher than expected moisture levels for honey that came from 100% capped comb. The result was a little over 30 lb of a rather magical flavoured honey. Bees were pollinating the melon patch at the farm. and a fair bit of goldenrod in bloom around the hive. This variety of goldenrod is blooming a little earlier than I'm used to seeing. They had built a good amount of comb on all bars of the new box. 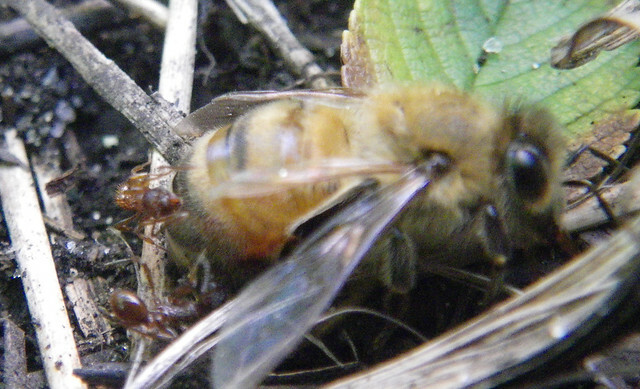 The new queen seems to be vigorous and isn't having a problem laying all kinds of eggs. I'm still impressed with how much comb they have built. All of my weaker colonies have more or less put the breaks on comb production. 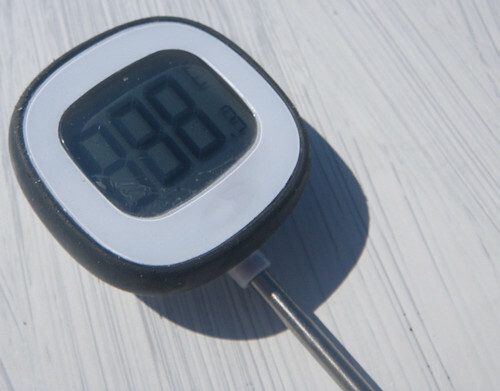 It does seem to suggest that the summer slow period was not the best time to super and I will remain curious of what would have happened if I had nadired the new box on the previous visit.